I am convinced that France and Japan should never collaborate… when it comes to cuisine. Fortunately, I think things might be going my way. Japan has now overtaken France as the country with the most three-star Michelin restaurants. This is bound to generate some (un)healthy rivalry. Chefs across both countries must be whipping up a storm of nationalism-infused dishes, harking back to traditional dishes and giving them that modern twist, which makes critics melt over them. Whatever does happen, I’m hoping it might reduce the number of places that think they’re serving French cuisine in Japan. 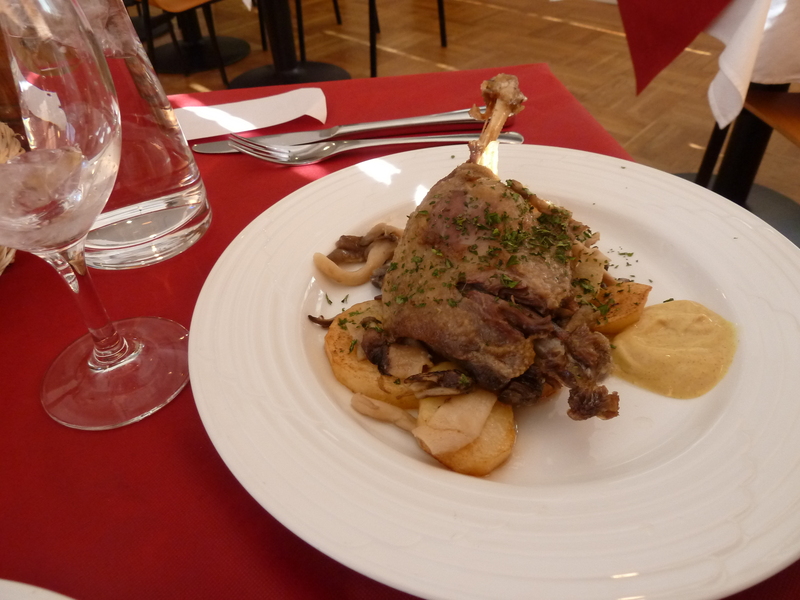 That is a ~1500円 confit de canard. It’s a sorry excuse for confit de canard (duck confit). I am more than familiar with the French way of cooking meat (ie. as little as possible) but confit is a preservation process and the meat should therefore be cooked. When a duck is well cooked, it falls off the bone. Let’s refer to theoracle Wikipedia on exactly how a confit de canard should be done: “The meat is slowly poached at least until cooked, or until meltingly tender, generally four to ten hours.” All recipes online for this dish mention how the meat should be tender. Then why was I struggling to tear it off the bone? I left in a very bad mood, partially because I should have known better. 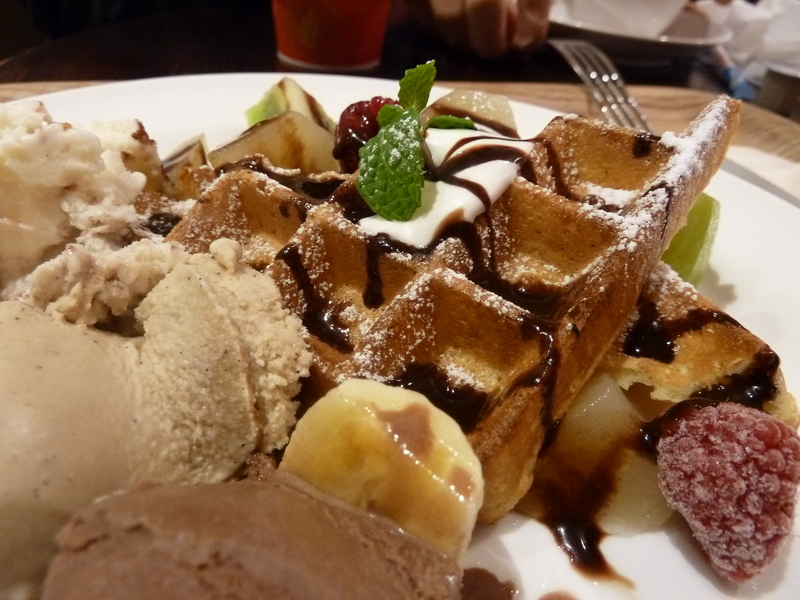 What was I doing eating French in Japan? I wouldn’t eat sushi in France! Yet I’m still drawn to international cuisine…. And….does this look good? In-depth deliciousness will be posted here soon! Next It’s…The 4pm Organ and Constellation Time! Great blog! It is strange that the Japanese can take almost anything out of Europe and do it better – except, it seems, food! But then, from your previous descriptions of eating in Japan, they don’t seem to be coming from a starting point of “taste buds” do they? Bland and more bland. It is rather like when the Asians first came to the UK, poor people, and discovered our pitifully bland diet. The message of hope is that we have got better at providing tasty food over the years and are continuing to do so. This is probably because of our multi-culturalism, and, perhaps, the same will happen in Japan in time. Who knows? Keep waving the flag for good, tasty food everywhere!